In 1675, Steven Backus built a simple two-room house. In 1700, Lt. Thomas Leffingwell, one of the founders of Norwich and friend of the Great Sachem Uncas, purchased the house and acquired a license for the “publique entertainment of strangers” or a tavern. People came to purchase rum, tobacco, read newspapers and discuss political issues. 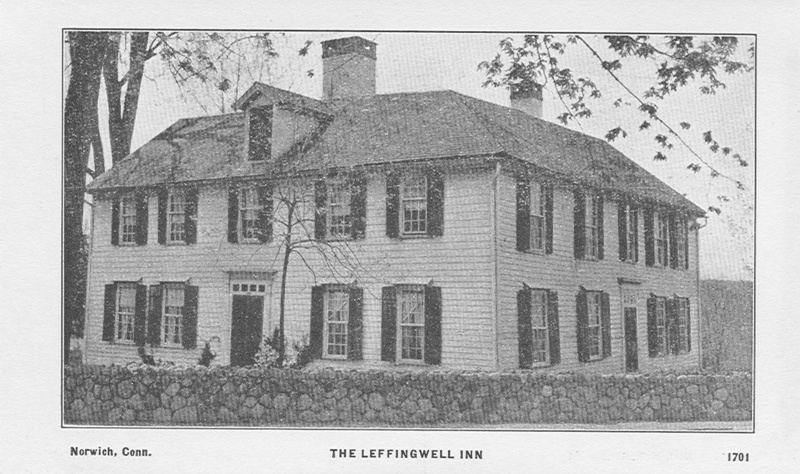 Benedict Arnold’s father often frequented Leffingwell Inn. In 1760, Christopher Leffingwell, a prominent industrialist, inherited the tavern. Leffingwell built five mills, including fulling to finish wool, chocolate, grist, paper and stocking manufacturing. The mills built by Leffingwell helped Connecticut to be self-sufficient by substituting locally made goods for British made goods. 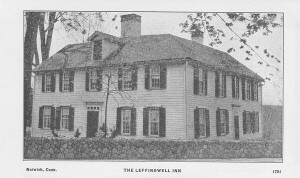 Leffingwell was an invaluable supplier of provisions for the Patriots. 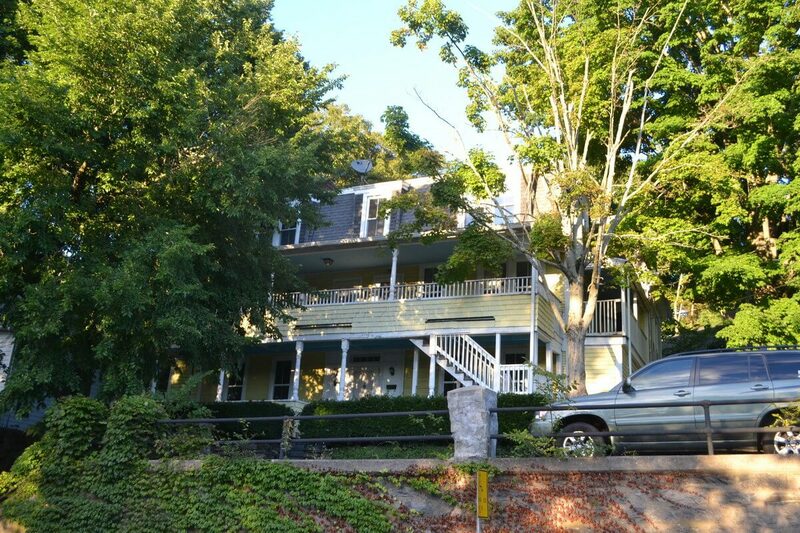 Reportedly, George Washington was at the Leffingwell Inn in 1776 securing supplies. The building began as a single room, two story, end chimney house c. 1675. The first addition created a one-room deep center chimney plan, and then later evolved into a “double salt box” plan. The Museum is open Saturdays April – October 11:00am-4:00pm. As crossing the street is dangerous, we recommend you drive to the Norwich Heritage and Regional Visitors’ Center at 69 East Town Street. Thomas Harland was among one of the finest of early Connecticut clock and watchmakers, arriving on the same boat, the Sally, from which the tea was thrown overboard during the Boston Tea Party. One of his clocks, commissioned by Christopher Leffingwell, is on display in the Leffingwell Inn. Harland employed many apprentices and married Hannah Clark of Leffingwell Lineage. The house was changed to a mansard roof in the 19th century.